The 5G-PPP CogNet project will bring advanced Machine Learning concepts and apply these in the domain of Network Management for 5G with the core objective of using the available network and environmental data to improve the operational efficiency of the network and enable the scale and QoS expected in 5G. The COMPOSE concept addresses to design, implement, and deploy an open, scalable marketplace, in which objects can be seamlessly turned into standardized services, combined, managed, and integrated into innovative applications. CONSERN is an ICT FP7 Small or medium-scale focused research project running under Grant Agreement INFSO-ICT-2575542 from Jun 2010 to May 2012. Coordinated by University of Athens it has 9 partners across Europe. CONSERN aims at developing and validating a novel paradigm for dedicated, purpose-driven small scale wireless networks and systems characterized by a service-centric evolutionary approach introduced here as an energy-aware self-growing network. CONSERN has 9 partners across Europe. CoSIMS (Community Services Based on IMS) is an R&D project, financed and conducted by Deutsche Telekom Laboratories in cooperation with Hewlett Packard Corp., T-Systems, trommsdorff + drüner GmbH and the Fraunhofer Institute FOKUS, investigating the provision of community based services by emerging 3GPP IP Multimedia Subsystem (IMS) / ETSI TISPAN NGN Release 2 based service platforms. In the context of the European Technology Initiative ARTEMIS Joint Undertaking, the project CRYSTAL aims at fostering Europe’s leading edge position in embedded systems engineering, particularly regarding quality and cost effectiveness of safety-critical embedded systems and architecture platforms. The main goal of the project is to disseminate, improve, integrate, and deploy deductive verification technologies into the industrial domain of safety critical embedded systems. The project is centered around the Frama-C framework and its deductive verification plug-in. 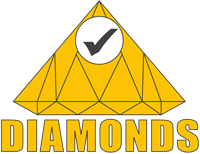 DIAMONDS (Development and Industrial Application of Multi-Domain Security Testing Technologies) addresses the increasing need for systematic security testing methods by developing techniques and tools that can efficiently be used to secure networked applications in different domains.